TBWA Worldwide’s annual 2018 insights report examines what the agency calls “pre-trends” rooted in evolving cultural shifts. Convergence is the emerging theme uniting the predictions, says TBWA. Genetic technology will collide with activism, memes with currency, digital goods with fashion, creative direction with algorithms and cults will meet social media. Brands, therefore, must ask themselves how they can leverage these cult Influencers and loyal fandoms to build a modern culture brand, she advises. “It wouldn’t take much for many mainstream celebs to tip the balance into cult leader, arguably we have some already,” Rabia says. Singer Lana Del Rey, for instance, asked her fans to join a mass occult ritual against Trump and Gwyneth Paltrow’s Goop sparked a community of wellness that has made some extreme followers ill with the eating disorder orthorexia. 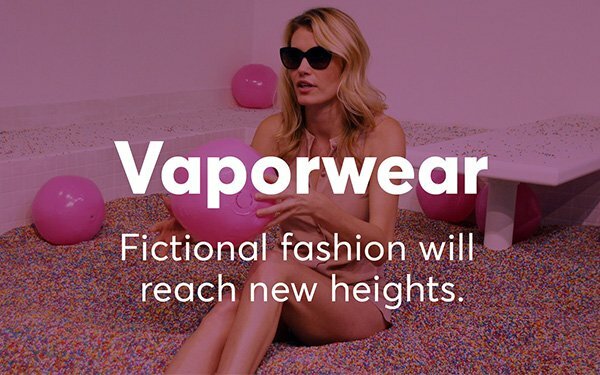 As the physical and online worlds blur, TBWA believes what it calls “Vaporwear” will introduce computer-generated goods like lenses, filters and virtual designs created purely to be worn for social media. Brands can engage with this trend by enabling audiences to buy in to these products without buying anything. Another tech-driven trend will allow brands to decide whether their content will be made by humans or machines, possibly resulting in algorithm-penned songs, games, novels, and feature films. With what TBWA calls Meme Money, Blockchain advancements will help advertisers and brands trace social media shares, likes and follows to a legitimate source for credit and remuneration. And as DNA technology empowers people to predict and manage their healthcare, brands will need to ask how far they will go with genetic technology, if at all? This is the first year that TBWA’s cultural insight studio Backslash has published a trends report. The year-old start-up serves mostly as an internal cultural service but plans call for expanding it over the coming months to do more public content and work with brands within and beyond TBWA. The unit’s team comprises journalists, strategists, TV and documentary makers.